Lumbar back pain describes symptoms in the lower back, below the thoracic spinal region and above the sacrum. Statistically, the lumbar spine is the most common place to experience pain in the dorsal anatomy. Doctors virtually universally agree that lumbar symptoms are some of the most significant in clinical medicine, often demonstrating the ability to debilitate the patient for extended time frames. Lumbar pain is a condition that I know well. It was my first experience suffering dorsalgia at a very early age and has plagued me recurrently and sometimes chronically for much of my adult life. My suffering has been so severe that it actually guided me into my present life as a pain coach, back pain educator, spinal researcher and patient advocate. I will never forget the effects that lumbar back symptoms have had on my life, nor will I ever forget the exact nature of the suffering, even if I never experience the pain again for the remainder of my days. This is the power of lower back pain and I am well aware of its influence on form, functionality and life outlook. Lumbar pain comes in many varieties and can be classified according to diagnosis, location and structures affected. Therefore, this resource section will help define and explain lower back symptoms according to these diverse parameters. If you have a particular form of low back pain in the lumbar spine and need to learn more about it, then this section is perfectly suited for your research needs. The lumbar spine consists of the lowest 5 independent vertebrae of the human spinal column. Above the lumbar spine is the thoracic region, which consists of 12 vertebral levels. Below the lumbar spine is the sacrum, which is a solid mass of bone that also consists of 5 fused vertebral levels. The lumbar spinal bones are named L1, L2, L3, L4 and L5. Meanwhile, the intervertebral levels (spinal discs) in the lumbar region are named T12/L1 (thoracolumbar disc), L1/L2, L2/L3, L3/L4, L4/L5 and L5/S1 (lumbosacral disc). Statistically, over 95% of lower back pain diagnoses affecting the lumbar spine occur between L4 and S1, encompassing 3 vertebral levels and 2 intervertebral discs. Coccyx pain describes symptoms in the remains of the human vestigial tail. Piriformis pain describes symptoms that are experienced in, or caused by, the piriformis muscle. This muscular tissue resides deep inside the anatomy of the buttocks, near the posterior hip. Sacroiliac pain describes joint symptoms felt in the connection between the pelvic ilium and the sacrum. Acute lower back pain is sharp, nasty and concerning. There is simply nothing as disabling as acute symptomology in the lumbar spine, since it affects the ability to perform virtually all physical functions. Chronic lower back pain describes persistent symptomology that endures for extended timelines. Pinched nerve lower back pain is caused by compressive neuropathy conditions at the lumbar or lumbosacral spinal levels. Scoliosis lower back pain might occur from pathological side-to-side curvatures in the thoracolumbar or lumbar regions of the vertebral column. Spinal stenosis lower back pain is the most common location for stenosis-enacted symptoms to occur. The lower spinal regions virtually always demonstrate significant stenosis as a person ages. Degenerative low back pain is blamed on aging of the spinal structures and general arthritic formations, as well as disc desiccation. Mechanical lower back pain describes symptoms that are elicited by movement of particular spinal levels. 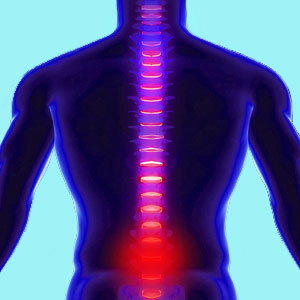 Mechanical pain is usually due to spinal joint problems or arthritic interactions between bony surfaces. Lumbosacral back pain occurs at the L5/S1 level, which is statistically noted as the most problematic spinal level of all. Thoracolumbar back pain occurs at the T12/L1 spinal level, at the frontier of the joining between the middle back and the lower back. Congenital low back pain describes symptoms brought on by conditions that are in-born or developed due to congenital abnormalities in the vertebral column. Genetic lower back pain is caused or contributed to by inherited factors from a patient’s ancestry. Low back problems can range from mild to extreme, but are always potential catastrophes waiting to happen. Low back ache may be dull, burning or sharp, as well as being focally experienced or wide-spread. The characteristics of the pain will often help shed light on the diagnostic possibilities. Lumbago is a truly age-old term for soreness in the lower back commonly associated with ridiculous and unenlightened models of causation. Lumbar dorsalgia is the official medical diagnostic nomenclature for lower back pain. Lower back pain on the left and lower back pain on the right may have specific meanings, especially when they are linked to internal organs. Stabbing low back pain might be related to movement or might just occur spontaneously. Deep stabbing pain is one of the most fear-inducing of all types of dorsopathy. Lumbar nerve pain denotes symptoms that exist due to nerve irritation or compression. All pain signals are carried by nerve, but true neurological pain is actually sourced from interaction with a nerve in some mechanism of action. Recurrent back pain can be a nightmare, as the patient must endure repeated attacks of suffering that often seem to come at the least opportune times of life. Low back pain is a topic close to my heart. It is my nemesis and the inspiration for my life’s work. Patients comment to us often that the writing on this website truly mirrors their experiences and this is the reason why. 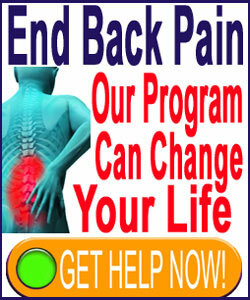 We are not only care providers and back pain experts. Many of us are also patients, including myself. The voices of this website might belong to us, but it also reflects your point of view, since we share so much as patients with a common enemy: lumbar back pain. Now you have a good idea of the diversity of lumbar pain issues that might affect you. We continue our coverage of lower back suffering by reviewing my own experiences with pain over the past 30 years. If you are interested in my lower back pain story, then please continue to read about my motivations to become the Editor of The Cure Back Pain Network and why I decided to devote my life to my fellow patients. If you simply need immediate help with severe pain, then learn more about our proven pain relief program that is online 24 hours a day to provide help fast.